Home > All News > News > Congratulations to Megan Donaldson on her new appointment! 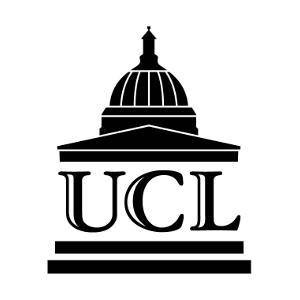 Congratulations to Megan Donaldson, former IILJ fellow and NYU Law doctoral graduate, on her appointment as Lecturer in Public International Law at University College London, as of September 2019. We are very pleased and proud of her! While at the IILJ, in collaboration with Benedict Kingsbury, she explored governance and law in contemporary international institutions, including transparency in international organizations; public law and constitutional values; and the use of languages of (public) law in global governance. Her more recent work has a particular focus on the nineteenth- and twentieth-century development of the international legal order. Megan’s article, ‘Survival of the Secret Treaty: Publicity, Secrecy and Legality in the International Order‘ won the Francis Deák prize (2017), awarded annually for the leading article by a younger author in the American Journal of International Law. She has authored and co-authored several other journal articles and book chapters, some of which are available on SSRN. Megan graduated from Melbourne University, and earned both her LLM in Legal Theory and her JSD from NYU. Her doctoral dissertation was: ‘From Secret Diplomacy to Diplomatic Secrecy: Secrecy and Publicity in the International Legal Order c 1919-1950’. The Dissertation Committee consisted of Professor Benedict Kingsbury (supervisor), Professor Susan Pedersen (History Department, Columbia University) and Professor Martti Koskenniemi (University of Helsinki and NYU Law Global Faculty).